Posted on January 26, 2016 by Al B. More good news and work towards a restoration of our waters. Posted on September 25, 2015 by Al B. A long-awaited cleanup of Port Gamble Bay is just about ready to launch. Work is scheduled to start Monday, with the removal of old pilings treated with toxic creosote. 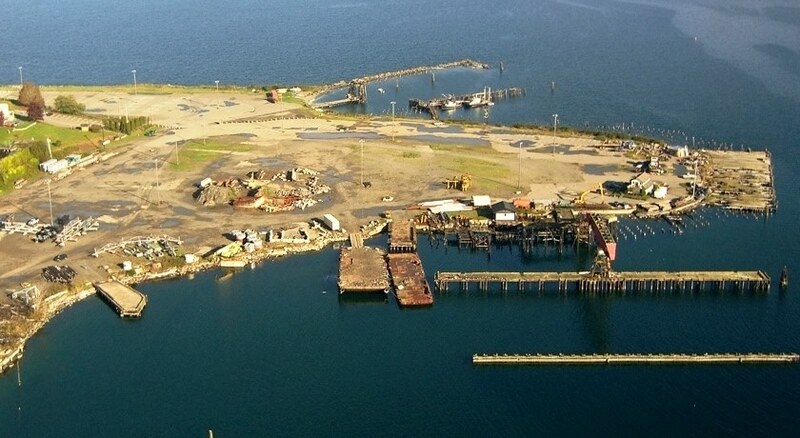 A number of other piers, docks and other structures also will be removed as the project progresses, and contaminated sediments and other muck will be dug out of the bay or capped with clean material. The project is expected to continue into early 2017 and really provide a boost for the bay’s health — and for the Puget Sound environment in general. Posted on December 18, 2013 by Al B. Just completed and launched the video ” Working for the River: Restoring the Dungeness”. Shot over the last 6 months. The Dungeness River flows from the Olympic Mountains, down through the Sequim Valley, and into the Strait of Juan de Fuca near Dungeness Bay. It drains a watershed area of almost 270 square miles. While recent returns of Pink salmon to the Dungeness have been robust, a variety of human activities over the past century has resulted in the listing of four other Dungeness salmon stocks as threatened under ESA. This film tells the story of some of the efforts to restore the river over the last 25 years –by landowners, farmers, tribes, irrigation districts, and other partners– and how you can help. This is the long version, 15+ minutes but has the complete story. This is the short version, 7 minutes. It was a blustery day when Jefferson MRC members, Northwest Straits Commission and Northwest Straits Foundation staff, and others recently toured the site of beach restoration planned at Fort Townsend State Park. The MRC is partnering with Washington State Parks and the Foundation to restore shoreline that has been dramatically altered by rip rap, decommissioned military wharves, and related construction. Spawning herring and surf smelt have been documented close by. The project design is now out for bid; work will restore forage fish habitat and improve access to the beach for kayakers and other visitors. Posted on December 9, 2013 by Al B. Lots of good projects that are going to give jobs to folks here on the Peninsula, and help restore salmon habitat. The work is far from being completed, but it’s good to see these projects and land purchases get funded. Tying this together with the work described by Earth Economics over the weekend on this site, it’s worth it to note that there is value in these ecosystem renewal projects. Slowing the rivers by putting in log jams, for example, do not just provide scientifically proven habitat for salmon (especially young salmon migrating downstream), but they also aide in flood protection among other benefits. Flood plain protection is a value that lowers the cost to repairing damage from floods over multiple decades. The state has awarded $4.5 million in grants for new salmon restoration projects on the North Olympic Peninsula. …. Support local journalism, subscribe to the Peninsula Daily News. Posted on September 9, 2013 by Al B. Want a chance to get outside and do some good for your ‘hood? Here you go.